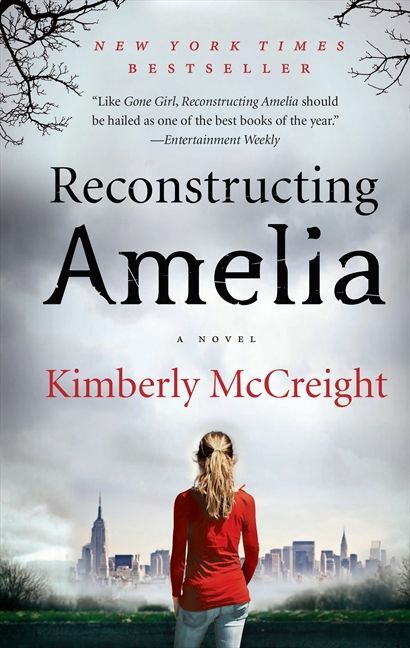 In Reconstructing Amelia, the stunning debut novel from Kimberly McCreight, Kate's in the middle of the biggest meeting of her career when she gets the telephone call from Grace Hall, her daughter’s exclusive private school in Park Slope, Brooklyn. Amelia has been suspended, effective immediately, and Kate must come get her daughter—now. But Kate’s stress over leaving work quickly turns to panic when she arrives at the school and finds it surrounded by police officers, fire trucks, and an ambulance. By then it’s already too late for Amelia. And for Kate. An academic overachiever despondent over getting caught cheating has jumped to her death. At least that’s the story Grace Hall tells Kate. And clouded as she is by her guilt and grief, it is the one she forces herself to believe. Until she gets an anonymous text: She didn’t jump. Reconstructing Amelia is about secret first loves, old friendships, and an all-girls club steeped in tradition. But, most of all, it’s the story of how far a mother will go to vindicate the memory of a daughter whose life she couldn’t save. Fans of Gillian Flynn's Gone Girl will find Reconstructing Amelia just as gripping and surprising. Kimberly McCreight is the New York Times bestselling author of Reconstructing Amelia, which was also nominated for an Edgar Award; one of CNN’s Reader Favourites for 2013 and a finalist for Goodreads Best Mystery of the Year. OUTLIERS is Kimberly’s YA debut; it has been optioned for film by Lionsgate, Mandeville, and Reese Witherspoon’s Pacific Standard. Kim lives in Park Slope, Brooklyn with her husband and two daughters.